NanoAvionics has opened a sales and technical support office in the United Kingdom and has appointed Mr. Tariq Sami as the firm's UK Sales Director and he will lead NanoAvionics’ efforts to serve the British space industry, where many innovative start-ups have been emerging with their technology relying on the cost-efficiency and unique capabilities provided by smallsats such as the NanoAvionics M6P. Company CEO and Co-Founder Vytenis Buzas said that considering his extensive experience in the British space industry and his collaborative focus on customers’ needs, the company is pleased to welcome Tariq Sami to the NanoAvionics team. 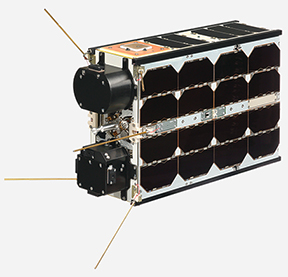 This is an exciting time to be part of the British space industry as the capabilities provided by the company's multi-purpose smallsat buses enable innovative new business models.